In order to take full advantage of Eurodollar futures, you must first understand how they work. In spite of the “Euro” prefix, Eurodollars do not actually have anything to do with European currency or the European economy. In fact, they represent trade in American dollars outside of the United States. While the first trades of this type did indeed take place in Europe, Eurodollars today can be traded in countries around the world. 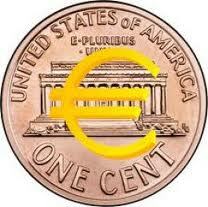 Eurodollars are particularly popular because they are traded outside of the Federal Reserve’s jurisdiction. This means that they are subject to much less stringent regulations that their regular dollar counterparts and are subject to much higher margins. Because of this, they can be far more lucrative than regular American forex. As the world’s economic crisis continues, Eurodollar futures are becoming increasingly popular. While this may at first seem counter intuitive, the slow market is actually a blessing to investors. The dollar continues to fluctuate both at home and abroad, making many investors reluctant to buy regular stocks or bonds in American currency. Nevertheless, the current low prices mean that the market is prime for those brave investors willing to make a move. As more people become disillusioned with the state of the American economy, they are looking for ways to get earn a higher profit margin on their American investments. In spite of the trepidation held by many investors, the American economy is showing the first signs of improvement. In fact, many economic experts predict that there will be a sharp upswing soon. Foreign exchange prices continue to be low, however, meaning that it is relatively inexpensive to buy Eurodollar shares. If you buy Eurodollar futures now, you can make money on both the risk you are taking as well as the higher margins offered by the decreased regulations surrounding the Eurodollar.